Heartfulness meditation is a simple and practical way to experience the heart's unlimited resources, using relaxation and meditation to connect to your inner being. Meditating regularly improves quality of life, provides stress relief, improves quality of sleep, stimulates the immune system and provides great concentration. Yoga is from 10am to 11am. Meditation is from 11am to 12pm. No booking is required. Just walk in. 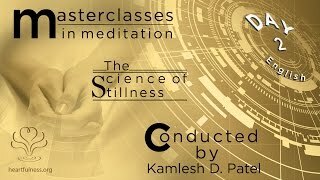 Please check the three Masterclasses in the videos section to try this meditation at the convenience of your home.